Earn $0.38 in Rewards credit. Click to learn more. Leave the glue at home. Our Glueless Patch Kit makes it easy to repair inner tube punctures, just peel, stick, and ride. 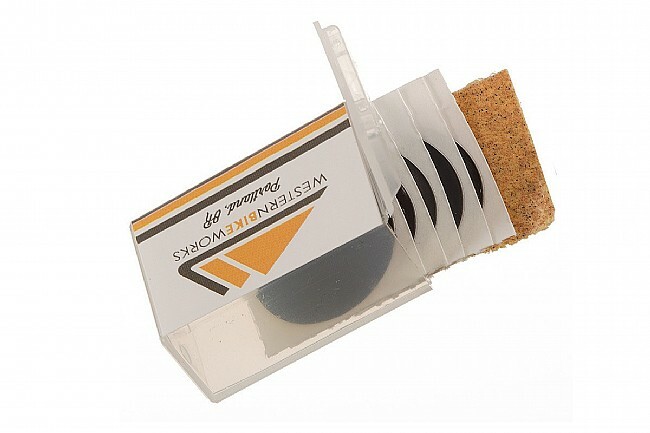 The Western Bikeworks Glueless Patch kit includes five patches, a small piece of sand paper, and a micro-sized storage case.